The Stable Isotope Laboratory is located in the Department of Earth and Planetary Sciences (EPS) on the campus of the University of Tennessee in Knoxville, Tennessee. We provide stable isotope services for research and commercial users. 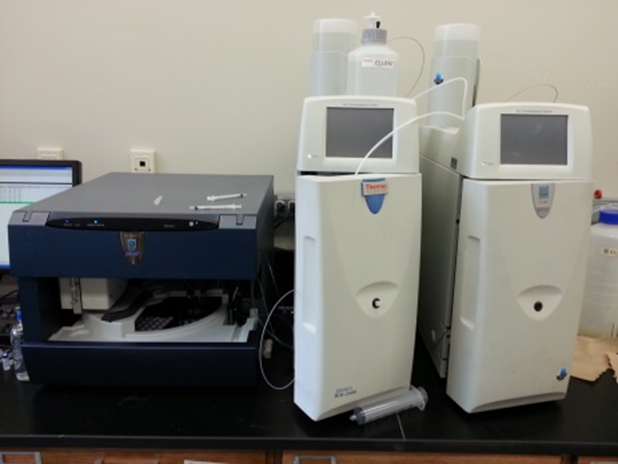 The lab has two Thermo-Finnigan Delta mass spectrometers and a variety of peripheral devices that enable the measurement of C-H-N-O-S isotopic ratios in a variety of materials. The types of analyses that we can perform and the prices per analysis are listed below. Examples of sample types: n-alkanes, etc.